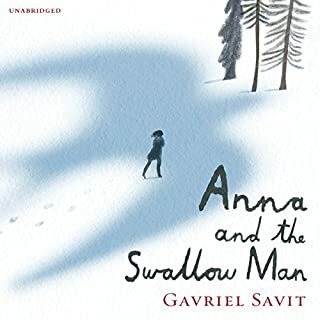 Anna and the Swallow Man is a stunning, literary and wholly original debut novel that tells a new WWII story. Kraków, 1939, is no place to grow up. There are a million marching soldiers and a thousand barking dogs. 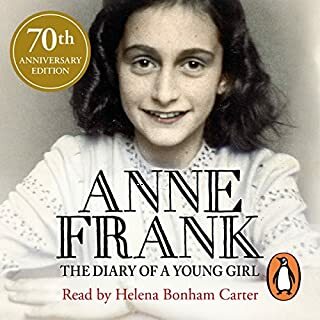 And Anna Lania is just seven years old when the Germans take her father and suddenly, she’s alone. Then she meets the Swallow Man. He is a mystery, strange and tall. And, like Anna's missing father, he has a gift for languages: Polish, Russian, German, Yiddish, even Bird. At the outbreak of World War I, Joey, young Albert's beloved horse, is sold to the cavalry and shipped to France. He's soon caught up in enemy fire, and fate takes him on an extraordinary odyssey, serving on both sides before finding himself alone in no man's land. 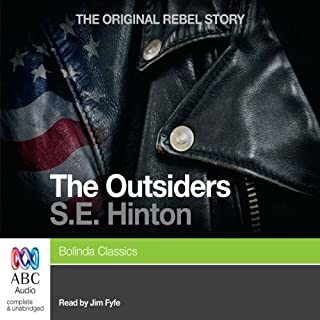 But Albert cannot forget Joey and, still not old enough to enlist, he embarks on a treacherous mission to the trenches to find him and bring him home. 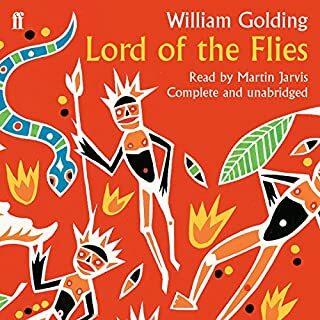 I listened to this audio book in one sitting after my grandson (age 11) had been given it to read at school and was very distressed by it. I grew up in Germany post WWll, with my father being in the British Army and occupying there, wives and families were accommodated there too. My father had been one of the original troops who liberated Bergen-Belsen, and at age 8, I overheard his distress and anger, and observed his out-of-character anger towards the German population at the time. So this book was a poignant reminder of my own loss of innocence at that dreadful time in history. Absolutely loved this voice! The best I have heard so far. The story was wonderful and short enough to listen in one day. 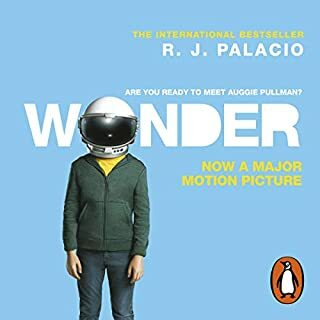 My daughter heard about and chose to read this book for her Year 8 English class. 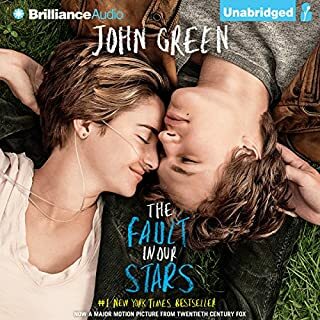 After her positive feedback my wife and I also listened to the audiobook. 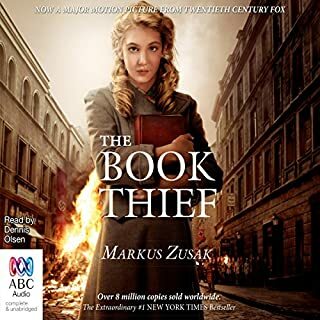 I really enjoyed the story and it has prompted healthy family discussion of the holocaust. I highly recommend this book. An insightful work of fiction based on fact. Seen through a child's eyes...incorporating humour, innocence and perceptiveness sometimes missing in the adults in the book. Very well written. Made me cry. Recommend for all ages over 12 years old. John Boyne is a great author! The book takes you on a visual journey from the eyes of a young boy. So cruel the events yet so innocent the from the child's perspective. The father the instigator yet the hero in his son's eyes. I experienced such sadness. My dad was a German child in Germany and this was his reality. I knew of the atrocities but this book took me step by step with the child as if I was there. No war has a good ending and this account, a snippet of life in war, is no different. 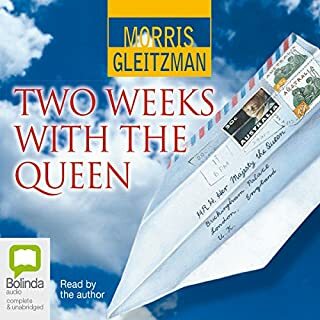 A brilliantly written and narrated book. 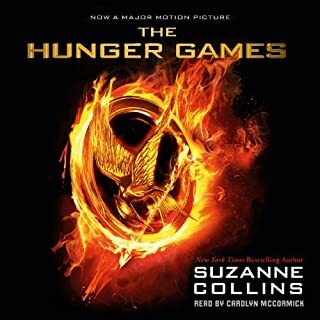 Have the movie set aside to watch now I have read the book. A book I will definitely read again. I loved this book because it had a great story line to it and was a very sad book. 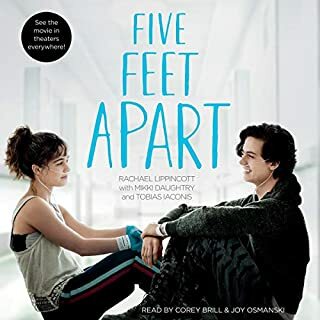 I would recommend it to people 12 and above because it is probably to depressing for younger ages. I could not stop thinking about this book! Every time I pause this book, I keep thinking about it and want to play it or read it! This book has an amazing way to make you look at things from many different perspectives! Great read! I highly recommend it!! Best performance too! Can't wait to watch the movie! Enjoyed it. Very well told. Opened up the view from both sides of the fence. Honest and captivating and short and sweet. I enjoyed this book. Would only have wanted the end to be more concise. 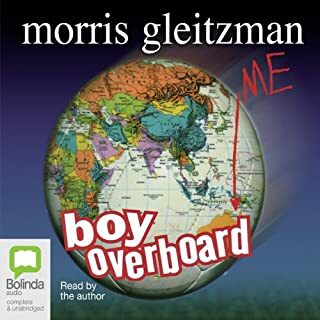 It is a wonderful book from a 9 year old German boy who seems oblivious to what is happening and questions some the the happenings that time in a very innocent perspective. It is true that not everyone knew especially kids at that time what was going on and it is a great start to knowing more about world war 2 and read more serious books later on about the subject. The narration is excellent and overall an amazing experience. Love it. Would you listen to The Boy in the Striped Pyjamas again? Why? Yes. Loved the reader and characters. 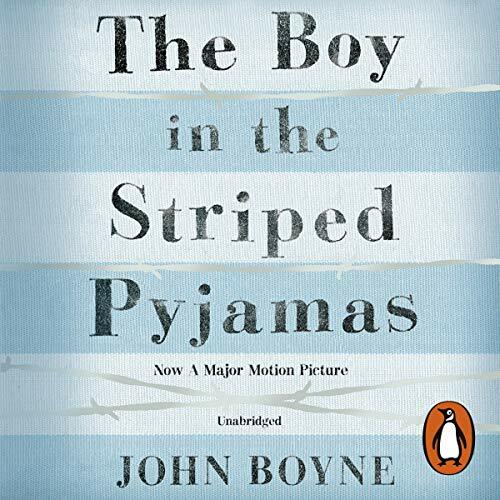 What other book might you compare The Boy in the Striped Pyjamas to, and why? Buddha in the attic and Farm and War Horse. Yes but I don't have the time. I'm Now The Man With Striped Feelings! 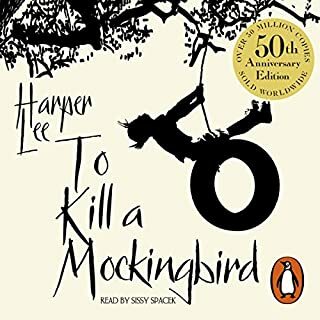 When I read some of the rather angry reactions to this book that have appeared on sites like Goodreads coupled with the effusive praise that the majority of readers documented for it I thought I saw the signs of intriguing literature in The Boy With Striped Pyjamas. 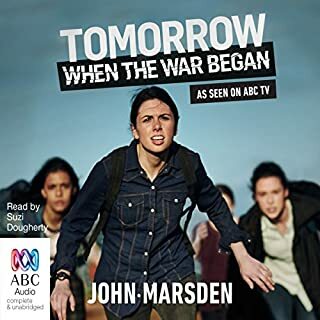 Even though it's billed as a Young Adult book I thought that to have provoked so much strong reaction there must be a lot of interest even to us (ahem!) older sorts too. So that's how I found myself being carried along inside the mind of nine year old Bruno who did seem to come across as younger to me. A bit too innocent and naive maybe. Then again the book is described as a fable and that's exactly what it turns out to be. It's a moving story of childish curiosity and innocence being thrown hard up against the wall of the worst sort of evil that mankind has produced. It really does take liberties with the history though and as the author and publisher explain in a fascinating interview at the end this was deliberate and why they billed it as a fable. There are obvious question marks over the approach and whether it weakens the historical message of the holocaust and these nagged at me all the way through. However, in that final interview Boyne very eloquently talks through his reasoning and gives a largely compelling case for his approach though it won't satisfy everyone. 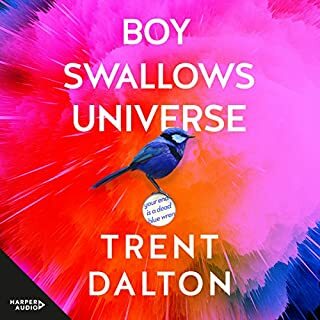 If you accept the nature of a fable for this story though it's a moving, almost heartbreaking tale with a very dramatic ending that juxtaposes justice and injustice into a single tragic event. If you accept this for what it is you will be rewarded with an emotional and thought-provoking story. It's probably quite important to understand that this is a novel and so there is a lot of artistic license taken with it by the author. 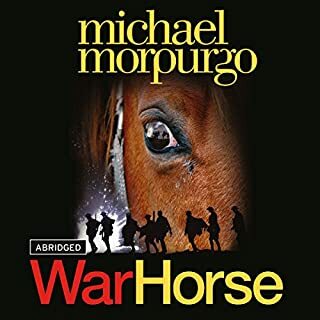 That being said the main protagonist, nine-year-old Bruno was brilliantly written, a great juxtaposition of unwaning innocence and extreme cruelty in a time of brutality. Having visited Auschwitz myself, the naive descriptions of the young boy is gut churning especially as he is so unaware of his fate. The reader does a great job in performing the role of an innocent child. The most significant chapter, however, is the last one where the author himself describes the reasoning for his decisions as many feel that it was unrealistic and a little insensitive in dealing with the subject matter. 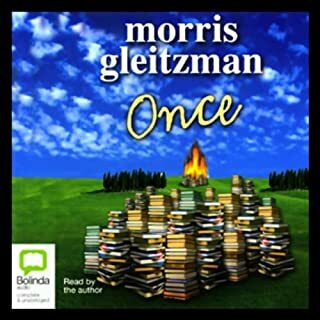 It is a moral story about complacency and how easy it is to fall into patterns, so it is essential to read with an open mind. Emotions run high from start to finish. 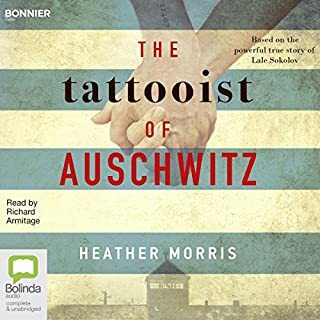 My mother and sister both loved this book and I chose to listen to it on the way to and from visiting Auschwitz-Birkenau today. I understand the positive reviews at a simplistic level but I can’t reconcile what I saw and heard during my visit with this story. Today I saw the Kommandant’s house, which overlooks the gas chamber and crematorium and heard how Hoess described the view as ‘paradise’. I heard about the lives of men, women and children who would never have been allowed to sit by the [electrified] fence day after day and I just can’t put this story together with that, even as a fable. I don’t think it’s a starting point for children, especially modern ones desensitised by all that they see and hear, although I applaud the author’s efforts to start that conversation. For me, the innocence and naivety of this story are completely irreconcilable and discordant with the things that I saw and heard today but I wish it were not so. This is a well written and interesting, horrific and amazing story. John Boyne does a great job narrating the story as he helps to serve the story in such a way that it is from the view of the child. Very clever and well written and excellently read. An excellent book which moved at pace with skilled writing. The narrator was well chosen for Bruno's tale. Such a powerful story seen so beautiful and innocently through the eyes of a child. And so well read by the narrator. I highly recommend it. If you haven't read or listened to this book before please do so. It isn't a book to be categorised as for children or for adults, it's an important book that carries a message for all.